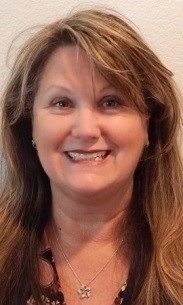 With over twenty years in the insurance and financial industry, Manon founded MML Financial & Insurance Services in 1998 and is one of the fastest growing agencies in the valley large in part due to her sheer dedication to personalized service, and care and commitment to long-term relationships. Manon holds active life/health insurance licenses in Arizona, California, Nevada, Ohio, Oregon and Texas, and securities licensed in the States of Arizona, California, Florida, Nevada, New York, Ohio, Oregon, Texas, Vermont and Washington. Manon's past experiences involve a degree in Nursing and was a practicing nurse for 10 years at Providence St Josephs Medical Center. Her holistic approach to financial and estate planning is what makes clients stay with her even when they move out of their resident state of California. She also is a member of The National Association of Insurance & Financial Advisors, The Association of Health Underwriters, The National Institute of Certified Estate Planners and is an Independent Advisor for the "The Estate Planning Source (formerly known as 'The Estate Plan"). Manon's knowledge and passionate caring personality make meeting with her like meeting with a "financial nurse". Client's come in with a condition or problem, an assessment of their situation is taken, and recommended prescribed strategy is then given. Manon is originally from the French Province of Quebec, Canada and is fluent French speaking. She enjoys traveling with her husband of 38 years and their three adult children, camping at the beach, surfing, snorkeling, scuba diving, snow skiing, read, appreciate architecture, think about life and socialize with family and friends.